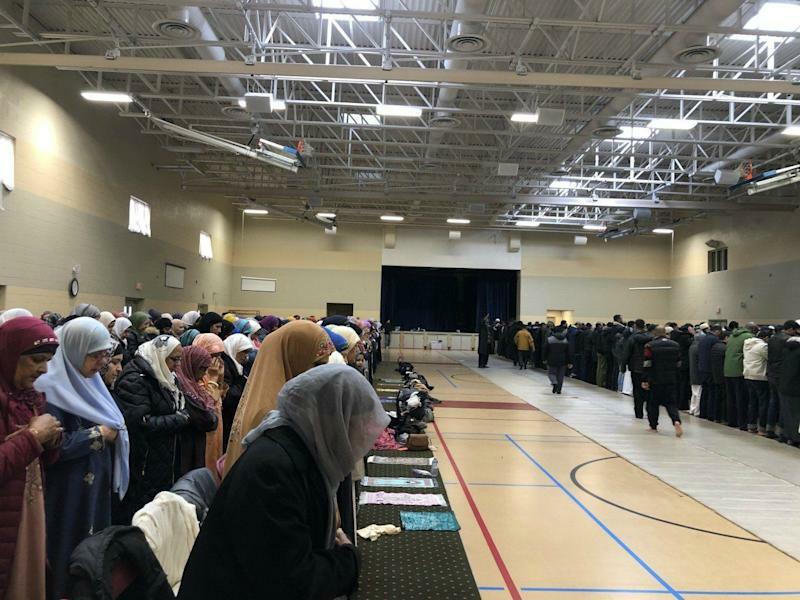 Worshippers at the Islamic Institute of Toronto prepare for Friday prayers one week after the New Zealand mosque shootings. A little over a week after a gunman killed 50 worshippers and injured dozens at two mosques in Christchurch, New Zealand, Muslims head to their own local mosques for Jumu'ah — Friday afternoon prayers. The horrors from the other side of the world still echo for Muslims everywhere, including in Toronto. “This particularly hit home because it's a weekly event. 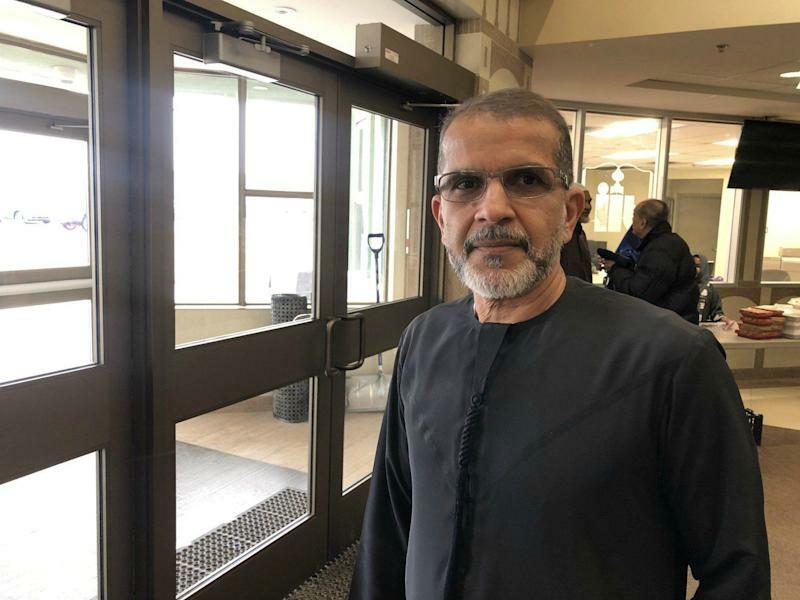 It's the same prayer that New Zealanders were involved in,” said Fareed Amin, president of the Islamic Institute of Toronto in Scarborough. Ensuring that attending mosque feels safe and free of anxiety will be the next challenge for centres of worship like the Islamic Institute. And they’ll need assistance that extends beyond the Muslim community. 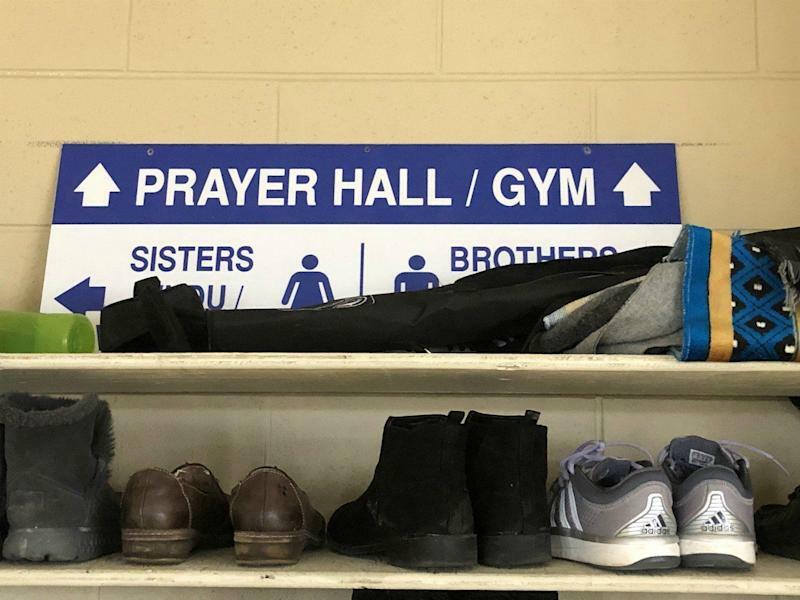 The Islamic Institute is centred by a mosque in the middle of the building, but it’s also an elementary school that topped the Fraser Institute's annual Ontario school rankings. Colourful backpacks with images of Elsa and Anna from Frozen and other children's characters line the walls near the entrance to the gym where prayers take place. Amin speaks softly while a medley of sounds from kids running in from recess fill the hallways. He said the main focus of the building is education, but the prayer services are popular and occur throughout the day on Fridays. Last week, hours after the shooting, he said he had trouble speaking to worshippers gathering for the service. “I couldn't muster enough courage to speak then, it was a very emotional speech,” he said. But calls from politicians and from those of different faiths around Toronto have added a bit of warmth. Fareed Amin, president of the Islamic Institute of Toronto, stands near the entrance to the mosque before Friday prayers. Yet kind words from outside the Muslim community don’t lessen the burden of having to be on guard — now more than ever. The most recent data from Statistics Canada shows a dramatic increase in hate crimes, specifically in Ontario and Quebec. There were over 2000 incidents in 2017 — the highest level since hate crime data began being reported in 2009. The main targets of these crimes are Muslims, Jews and Black Canadians. Security funding up to $10,000 is available from the federal government for places of worship, which is how the Islamic Institute was able to install a fence around its perimeter. “We have to exercise a renewed sense of vigilance and security,” he said, noting that it’s not something they want to do, as a mosque is meant to be open, yet feel safe. “We live in an era where we need to take the necessary precautions,” said Amin. The Islamic Institute was inundated with questions from worried parents about plans to protect their children. “They feel very vulnerable,” says Amin. During Friday prayers, the gates are closed and a car is parked in front of them. Security personnel let in possible latecomers or let out people who need to leave early. They will be looking more closely at their security measures since New Zealand, by locking gates, closing doors, and having people buzzed in. As a not-for profit organization, the Institute’s security funding will have to come from people who attend prayers and have children in the school, said Amin, so cash will not be easily accessible. And will heightened security make worshippers feel like they are being watched and scrutinized, rather than welcomed? These are all things to take into account, said Amin. Solutions for these issues may come from increased calls for a national dialogue on hate crimes, and Canadians working together to protect religious communities, he said. Encouraging Canadians who don’t practise Islam to visit a mosque is something Amin recommends, especially for those who don’t know about the religion or don’t understand it. Islam needs to be de-mystified for some people, he said. “There's nothing in [a mosque] except for matts and copies of the Quran,” he said, adding it’s a very simple place where people go to pray. A sign directs worshipers to the entrance of the mosque at the Islamic Institute of Toronto. Creating a larger, public discussion with elected officials and Canadians who aren’t Muslim is important for finding safety solutions, said Leila Nasr, communications coordinator with the National Council of Canadian Muslims. “[We] can't just talk about it at the band-aid level, security and infrastructure doesn't address hatred and intolerance,” says Nasr. She says it’s important to reach out to Muslim neighbours, friends and colleagues and do your part to challenge Islamophobia when you see it. As Friday prayers begin at the Islamic Institute, Aneesah Mohamad removes her shoes and prepares to go inside. She said feels good attending the prayers and it’s helping her through the grief she has felt following the shooting. “What hurt me about it the most is the hatred behind it,” she said, through tears.